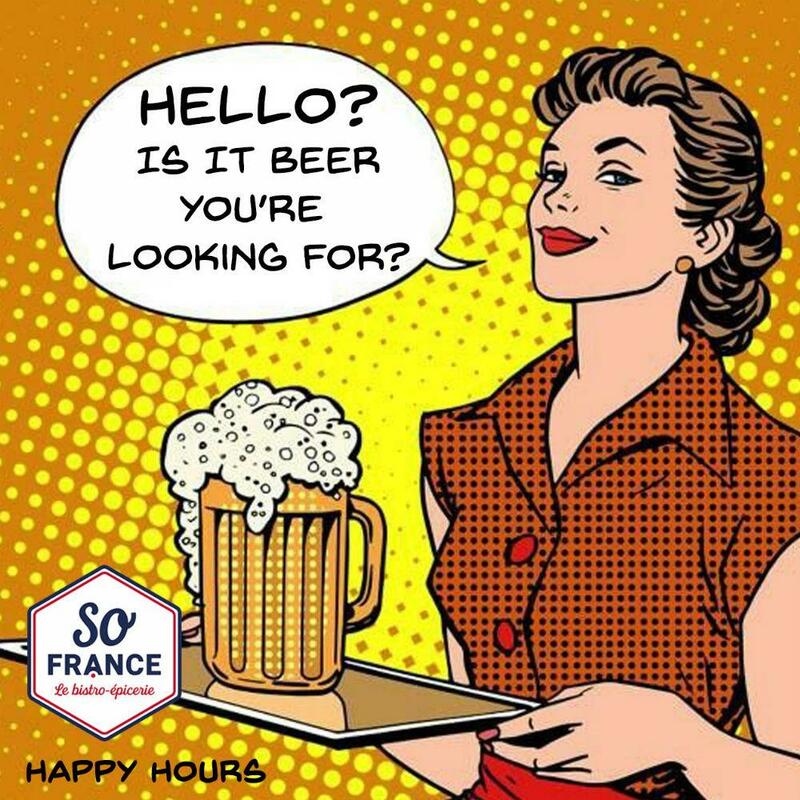 Happy Hours from 5pm – 8pm daily at So France! It is a perfect way to unwind! Happy Hours beer price is applicable only at the wine bar. Price is applicable only with food orders at the bistro. Keep up to date with news & events! We won’t share your email with anyone else! https://www.so-france.sg/wp-content/uploads/2018/06/Happy-Hours-2.jpg 1000 1000 siteadmin https://www.so-france.sg/wp-content/uploads/2018/04/logo-white-transparent207h.png siteadmin2018-06-21 16:34:472018-09-19 14:00:46Happy Hours!